Why are there so many divisions in the church? Why does the church sometimes tolerate sin? Are you experiencing any of the same problems that the Corinthians did in your own relationships or in your church? If you have similar questions, this study is an important resource. Learn how to pray by knowing God’s mind and will on divisions. What does God say about marriage, divorce, remarriage? Tongues? Prophecy? Giving? 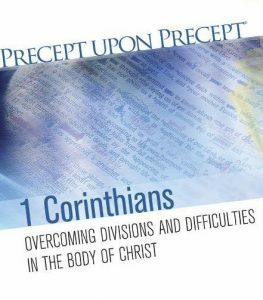 Paul addresses these issues raised by Corinthian believers.